This is an album containing photographs of Mobil Oil employees and annuitants. 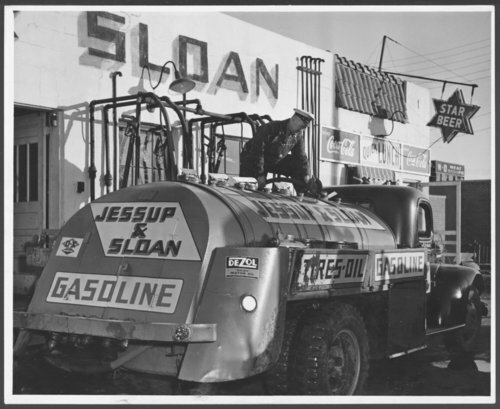 There are a few images of refineries and a Jessup & Sloan gasoline truck. Many of the photographs were taken in Venezuela and Kansas. The photograph album belonged to Perry Wyning Henman, who was an employee of Mobil Oil.